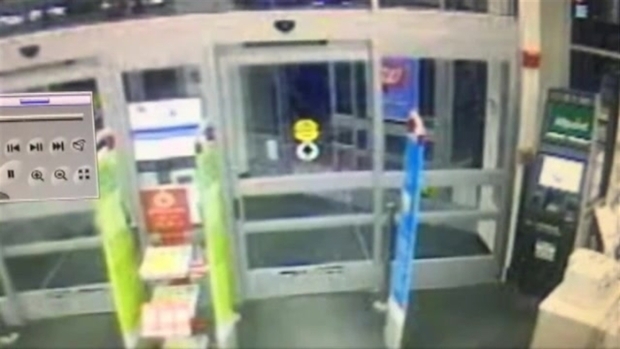 Police in Concord, New Hampshire, are asking the public to help them identify an armed robbery suspect who robbed a Walgreens on Sunday night. According to the police department, officers responded to the Walgreens at 142 Loudon Road for a report of an armed robbery. The suspect was described as a skinny white man, about six feet tall, who was wearing a black and white bandana, possibly with some type of skull and crossbones pattern, over his face. A Walgreens employee also told officers he was wearing a black jacket, dark colored pants, and a dark colored hat. He showed the employee a gun and said "give me the money." The suspect reached into the cash drawer and removed bills and also asked for a pack of cigarettes- Marlboro Black 100s specifically. The employee gave him the cigarettes and the suspect left. He was last seen by a witness running across Loudon Road towards Burger King. New Hampshire State Police attempted to track the suspect with a K-9 but were unable to locate him. Officers believe he may have fled in a car. Anyone who has information about the suspect is asked to contact the Concord Police Department.